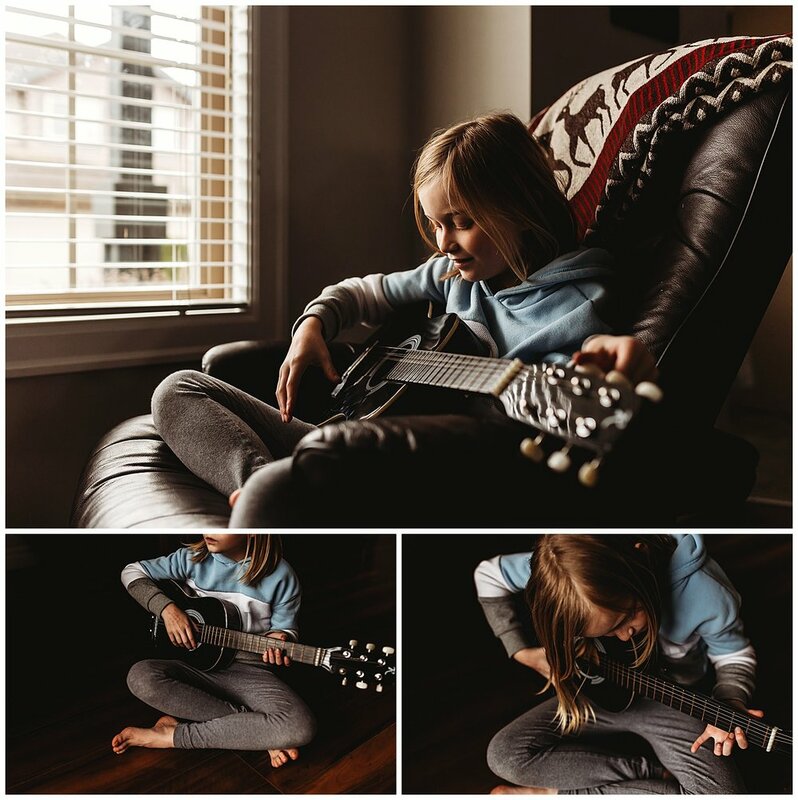 My father-in-law found a small guitar for sale and bought it for Kazia; she is learning guitar at school and we thought it would be fun for her to have one at home to practice with since she is really enjoying it right now. I was trying to keep it a surprise before I picked it up for her, but she’s a smart one and overheard one or two things a few days before and figured it out. I picked it up on a Thursday while she was in school, she was super excited to get home that day so she could start playing with it. She is so excited to have her own guitar that is just the right size for her! This post is part of a blog circle, head on over to Erika’s page and check out her 10 on 10 for February here.